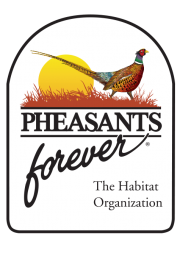 Pheasants Forever (PF) and Quail Forever (QF) have over 740 chapters and 145,000 members. 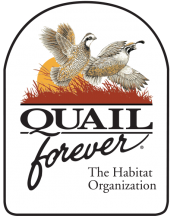 Pheasants Forever launched Quail Forever in August of 2005 to address the continuing loss of habitat suitable for quail and the subsequent quail population decline. Bobwhite population losses over the last 25 years range from 60 to 90 percent across the country. The reason for the quail population plunge is simple – massive losses of habitat suitable for quail. There are five major factors leading to the losses of quail habitat; intensified farming and forestry practices, succession of grassland ecosystems to forests, overwhelming presence of exotic grasses like fescue that choke out wildlife, and urban sprawl. Although we’re extremely proud of the work we have accomplished, we realize that when your work is conservation, the work is never-ending. We invite you to join in our quest to ensure a country rich in natural resources and long on people willing to work to preserve them. After all, natural resources – pheasants, quail, and the land, air and water on which they live – are our greatest resources.